Last night we spent some time talking about the things we liked best about 2013. Number one on my list: Charlotte’s cardiac check ups were good and she required no further interventions. After that, everything else was icing on the cake. We are so blessed that Charlotte continues to go from strength to strength and that she has an amazing community of doctors, medical professionals, friends, and family to keep watch over here. Thank you for being along for Charlotte’s Journey. 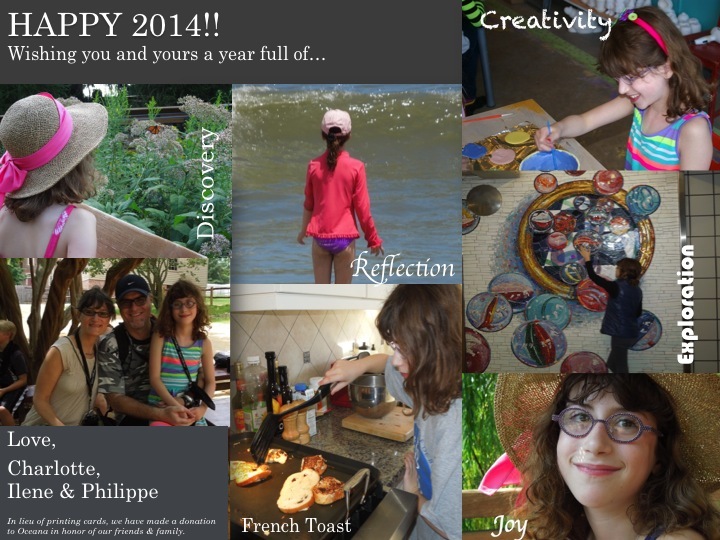 Along with her, Philippe and I wish you all a year of good health and happiness. 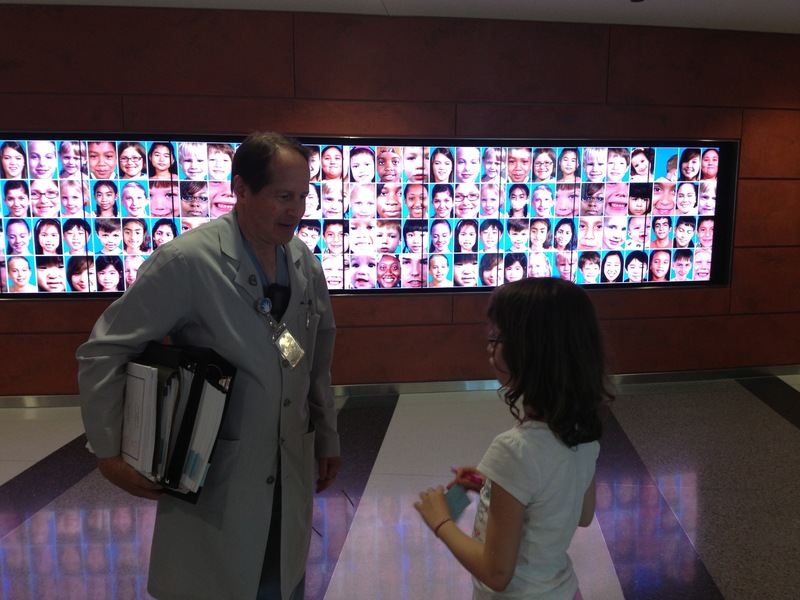 Charlotte chats with her surgeon extraordinaire, Dr. Carl Backer. 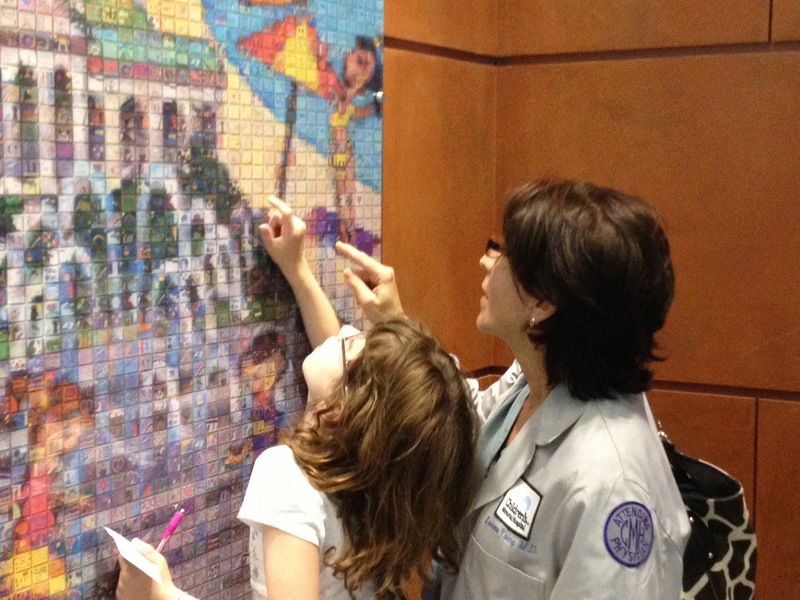 Charlotte and her cardiologist, Dr. Luciana Young, find the Team Charlotte tile on the Lurie Children’s Hospital Give Kids a Hand mosaic. Ilene, I just found your email from 2007 – our computer has lost pictures and contacts, including yours so I don’t know what your email add. is. I hope i responded to your email back then. How are you and your family doing? Our 30th reunion was in November, but I was unable to head north for it. Still in Florida, married almost 22 years and my girls are 16 and 19. I would love to hear from you – i think of you often!